We’ve all heard that one and surely that’s all there is to it… right? Not quite. If it was as simple as that, we’d all be skinny! We’re all unique and reasons for having weight issues are as varied as we are. With a certificate in counselling skills, Maria can adapt her approach to suit your individual weight loss requirements. 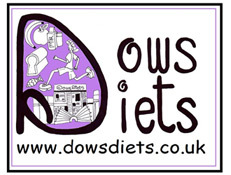 Maria is licenced to deliver 2 clinically effective weight loss programmes. Counterweight is an evidence based programme of weight managment tailored to individual needs. 70% of clients who started tthis programme of weight management lost weight. Feel free to have a look at the details of the programme, and published scientific papers at www.counterweight.org. The aim of the programme is to achieve and maintain a realistic 5% weight loss. This can be achieved over 9 sessions in one year. 6 seessions of between 30 minutes and an hour or 6 one hour group sessions in the first 3 months, then 3 monthly follow up sessions of 20 minutes thereafter until one year. The initial assessment will look into what you wish to achieve from losing weight. From this we will work together to create achievable goals to encourage weight loss. Within the first 3 months there is a structured programme of education and support looking at shopping, eating and activity habits. Each session will look at encouraging realistic lifestyle changes. This can be done using a SMART goals type approach or more specific tailored dietary plans depending on initial assessments and preferences. Bariatric surgery is the gold standard for weight loss. Counterweight Plus is the best non-surgical weight management solution for those individuals with more weight to lose. A feasibility study was conducted by the Counterweight Project Team in 2010-2011 using Counterweight Plus with 91 participants from 22 general practices. Results published in the British Journal of General Practice in 2013 show mean weight losses for those individuals who completed the 12 month programme was 17.3kg. Over the past year Maria has been piloting this programme in private practice to great effect. She is now happy to offer this programme for clients who have a BMI over 30kg/m2 and are ready and committed to lose weight. Read more about my own experiences on the total diet replacement phase in my blog.